Carrots never tasted so fresh ! The combination of ingredients gives this dish a really flavorful punch. Definitely not the same old boring vegetable ! Heat butter in a skillet. Add garlic and ginger to pan. Cook 1 minute, stirring constantly. 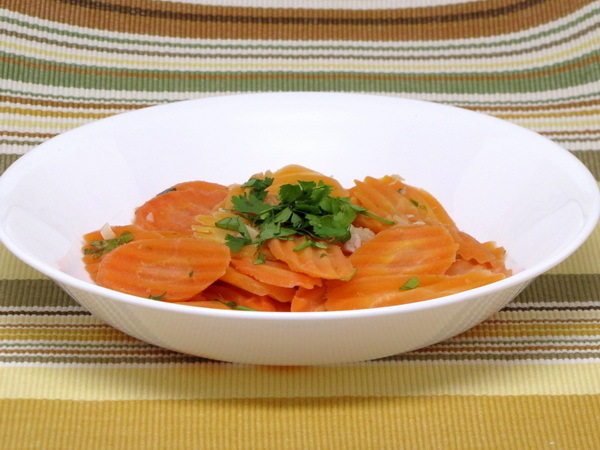 Remove from heat and stir in steamed carrots, cilantro, lime zest, lime juice and salt. Serve immediately.